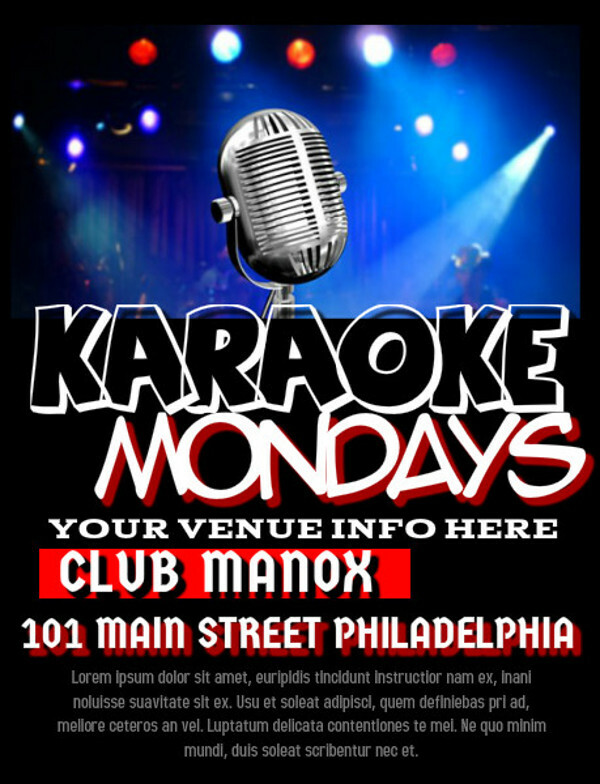 In many clubs and pubs around the world, karaoke gigs are very popular. 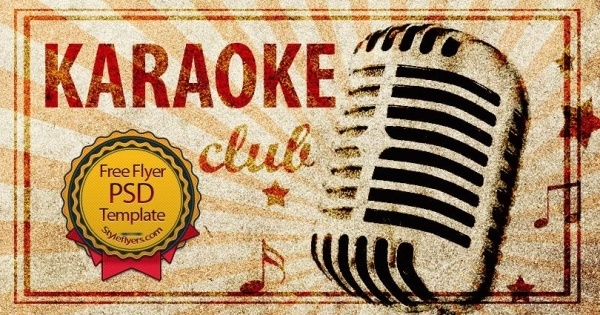 Whatever be your caliber as a singer, if you have a love for music and like to sing in front of an audience, you are always welcome to take part in karaoke gig. 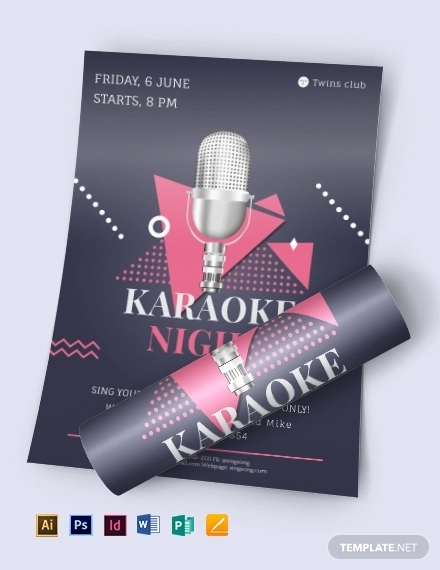 Of the many ways used by club and private organizers to publicize karaoke gigs, flyers are the most preferred and effective.You may also see Party Flyers. 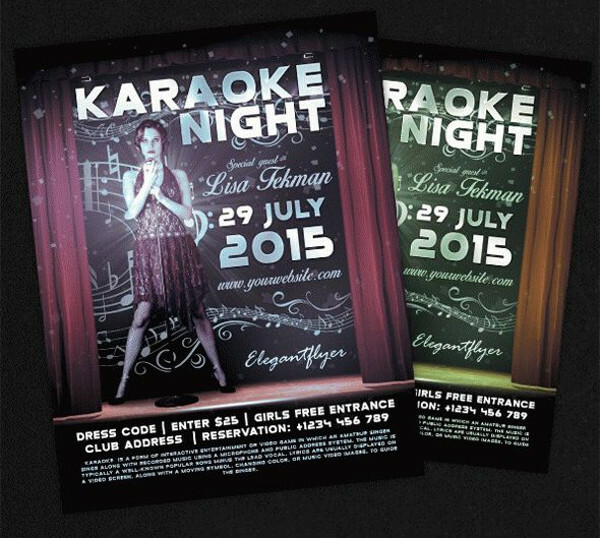 Flyers are available in many designs and varieties. The collection is endless, actually. 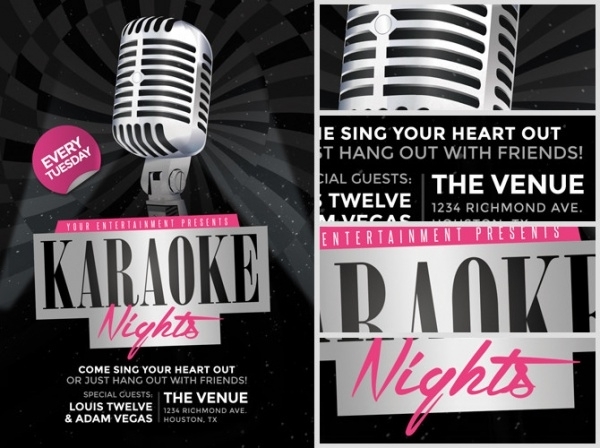 If you have a karaoke event on its way and you’d looking for an apt flyer design to put up all the event info on, choose one from our range of readymade and editable karaoke flyer designs.You may also see Night Flyers. 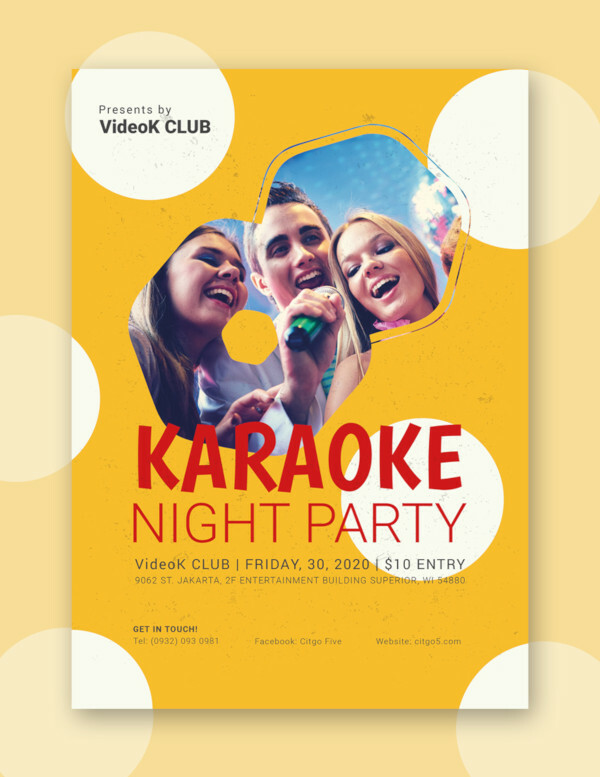 Check out this fully-layered, well-organized and color-coded karaoke flyer template. Of course, the design and artwork are attractive, but what is laudworthy is any user can personalize this design and develop the flyer.You may also check Cocktail Flyers. 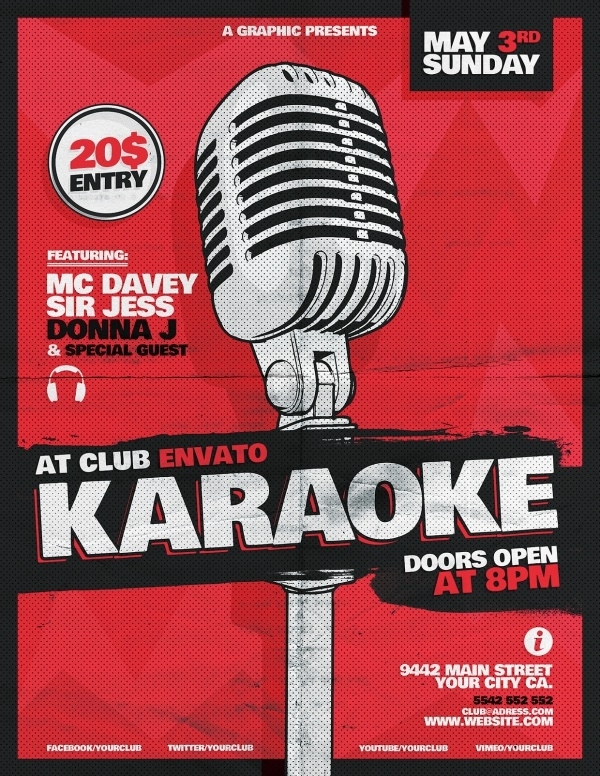 If you’re searching for a funkier karaoke option, let us introduce you to this particular flyer PSD template. 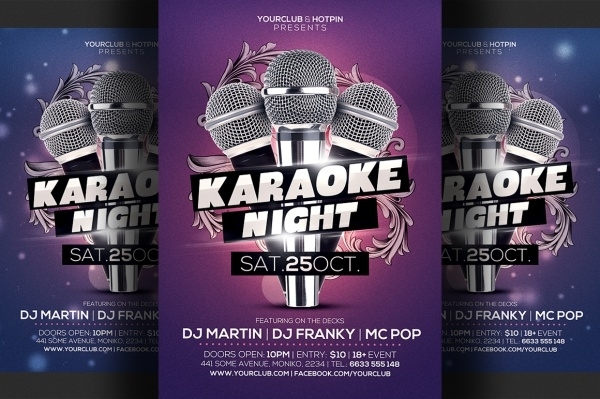 It oozes color and appeal in equal measure and contains all the qualities to be turned into an event flyer for your karaoke. 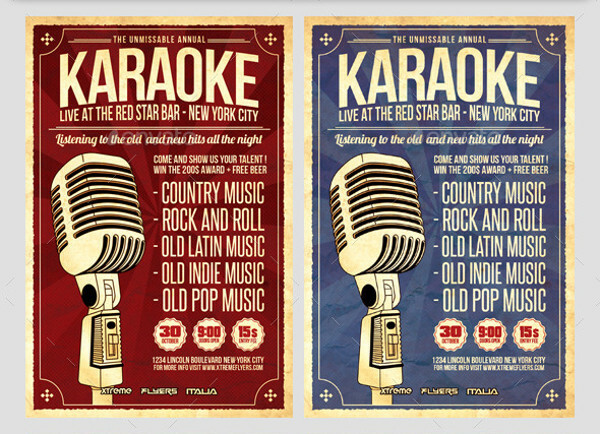 This PSD Karaoke template is available in two colors – red and blue. Both versions are high quality and well-designed. 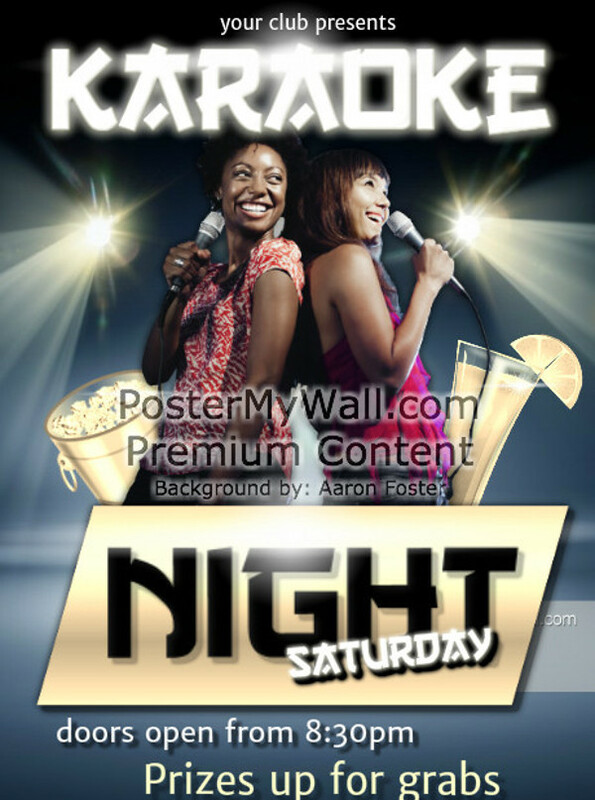 Choose either of them and customize it with the relevant event information about your karaoke. 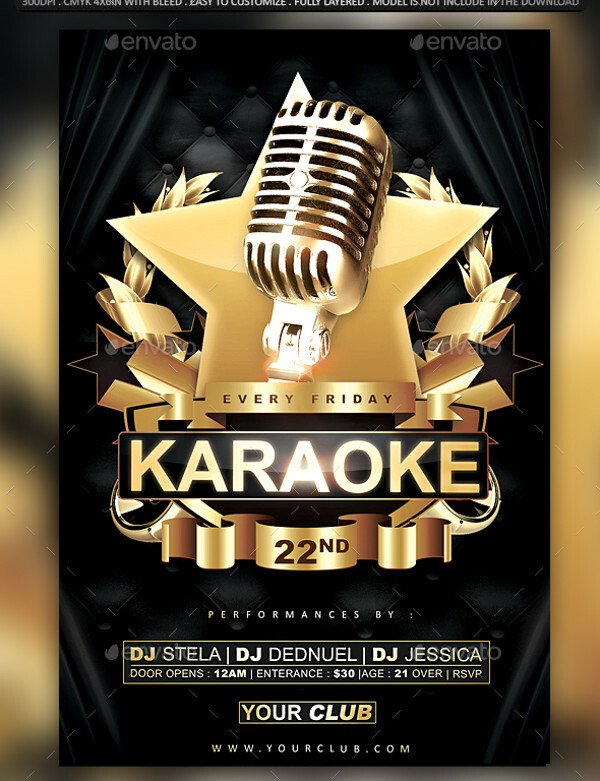 If you’re having a karaoke event at a night club or some other private venue, this flyer template is another very good option that you could easily personalize and edit and make your own event flyer. 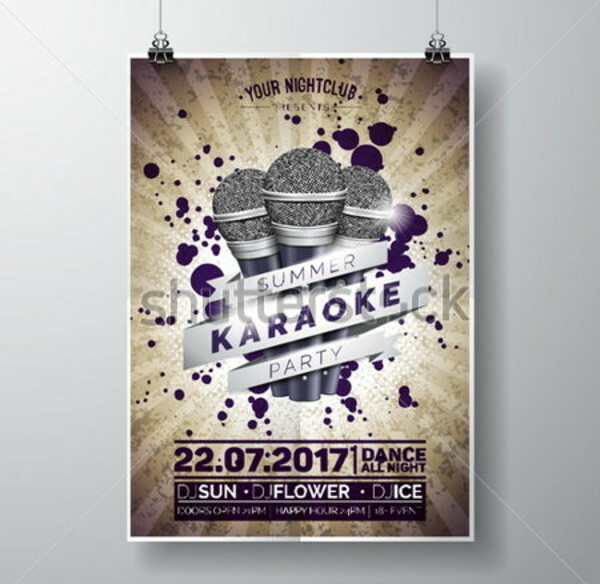 If you’re hosting a karaoke event which is kids-only, this particular template is perfect for promoting the occasion and luring the kids into making a beeline to the event. This template is high-resolution and fully-editable. 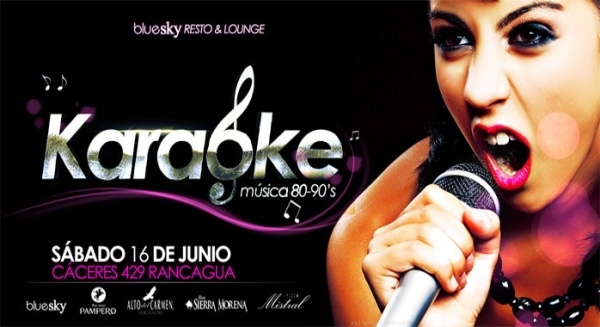 Here’s another very good-looking option that you could choose to promote your karaoke event. This template has a vintage background and it is fully-customizable. This is apt for any kind of summer karaoke event. 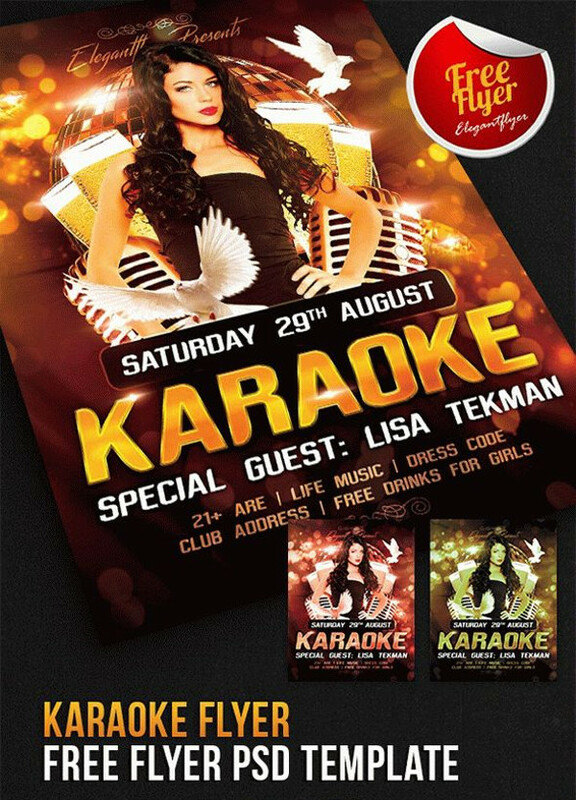 Whether it is a karaoke gig or a DJ night, this flyer is adequate to be used for both the purposes. The design and artwork included on the flyer are very bright and attractive so you can be assured your win will get the publicity and attention you want it to get. 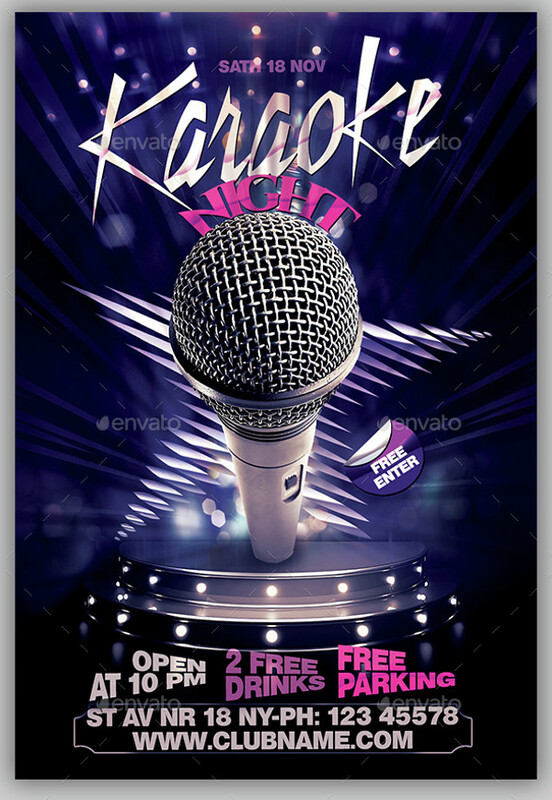 This is a modernly-designed Karaoke Night Flyer Template which is perfect for promoting and advertising an upcoming microphone event, night club event or talent show. The template is divided into well-organized layers to facilitate easy editing and customization. 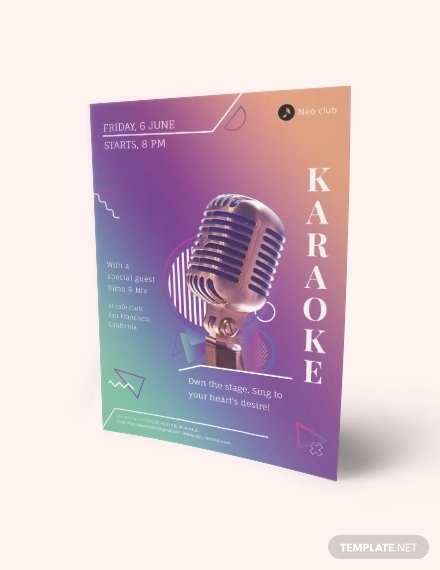 If you’re hosting a karaoke which will have people crooning classical hits and playing timeless tunes, use this vintage-themed karaoke event flyer to give your event the promotion it deserves! 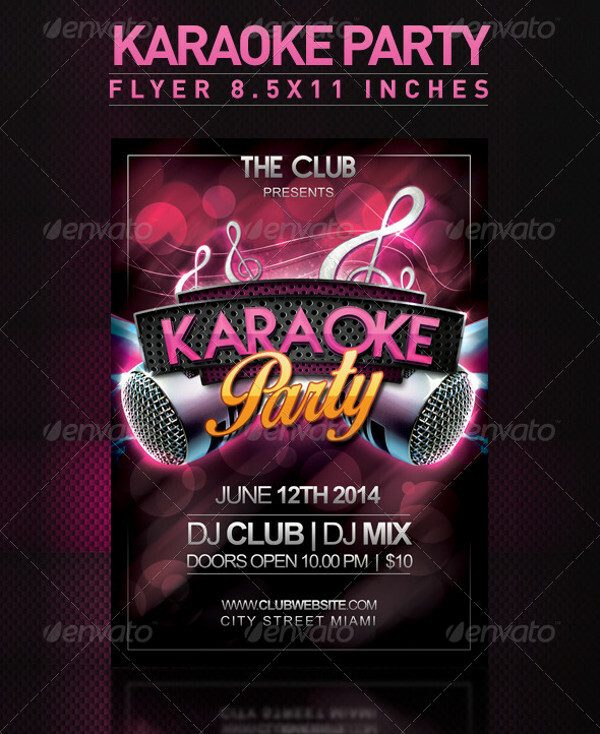 You can rely on and use this Adobe Photoshop print flyer template to market all kinds of karaoke and club events. This template can be used to promote personal and professional events. The template is high-quality and easily editable. Inform people that an open mic event is coming up! This flyer template is equipped with all the necessary editable elements to allow you to make an attractive event flyer for the big event! 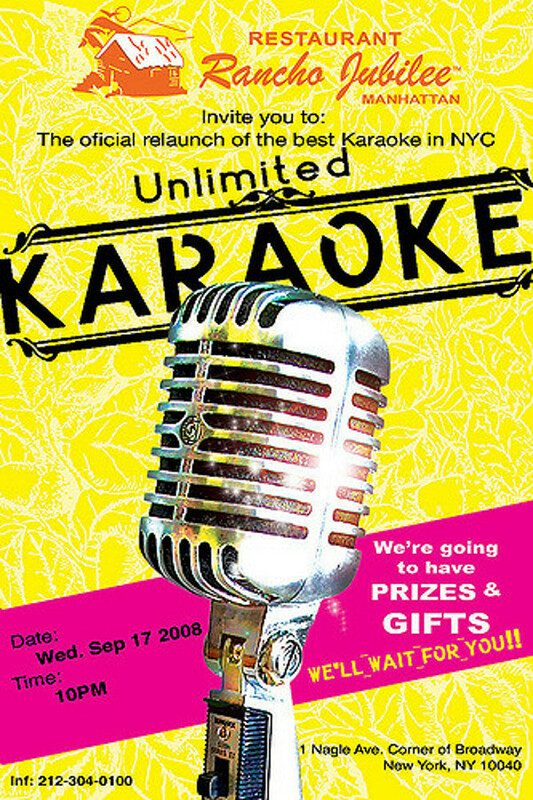 This 4×6″ flyer is another very good option to tell people about an upcoming sing-along event or karaoke night. 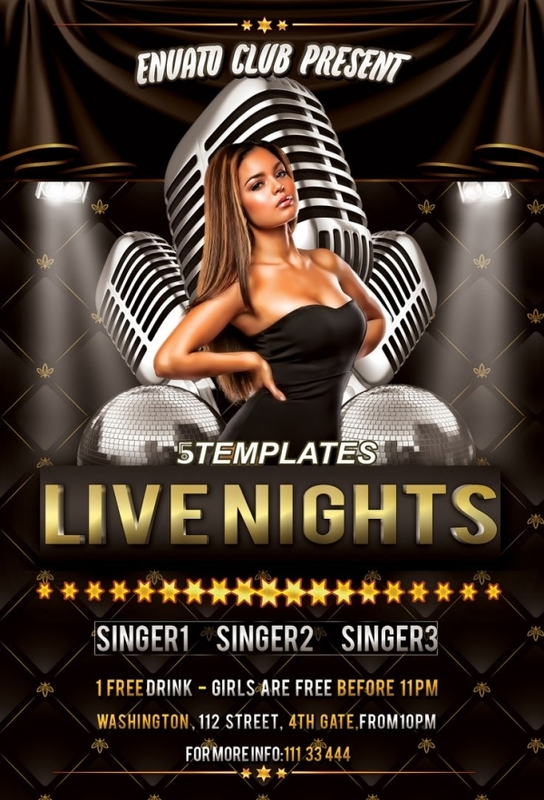 You could use this fully-editable to promote any kind of musical event – be it in a club or some other venue. 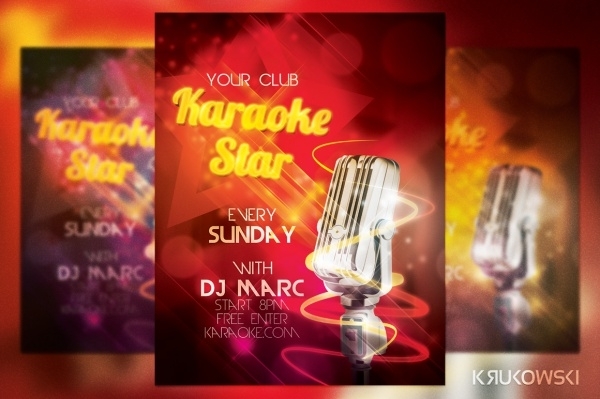 Are you planning on hosting a stand-up and karaoke event at your club? If yes, let this event flyer template be the chosen one to tell people about it. The template has stunning looks and all the features which you’d need to personalize and create an event flyer. 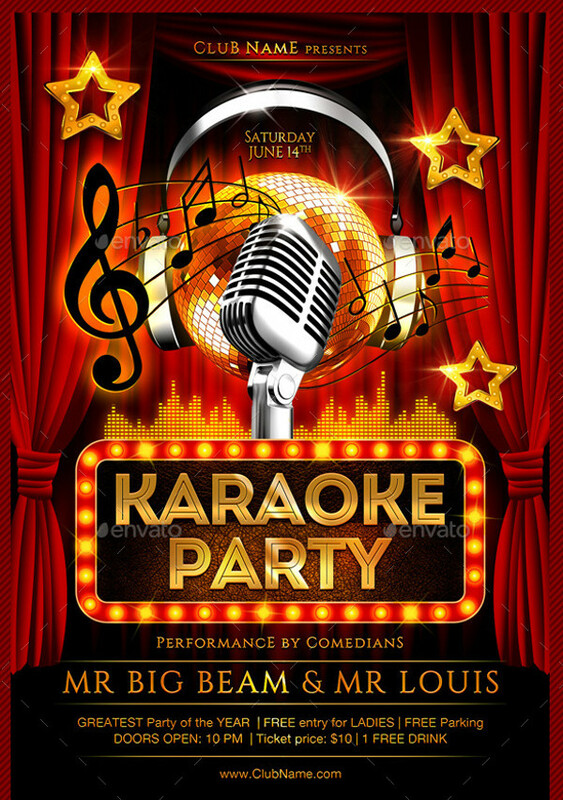 Here’s another winsome event flyer sample which can be easily customized and edited by users. No matter how many special singers you have lined for the event, you can include their names and much more on this sample. You can organize a karaoke anywhere – restaurant, café, pubs, beach, at home. 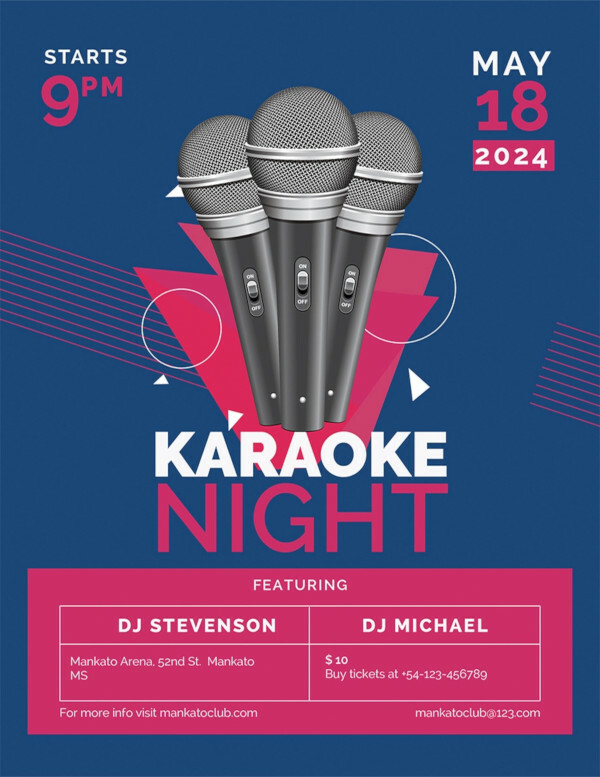 Download and put this event flyer to spread the word about your intention to host a karaoke event for all music-lovers in your area or city! You can also set this template as the Facebook cover on your profile or event page! 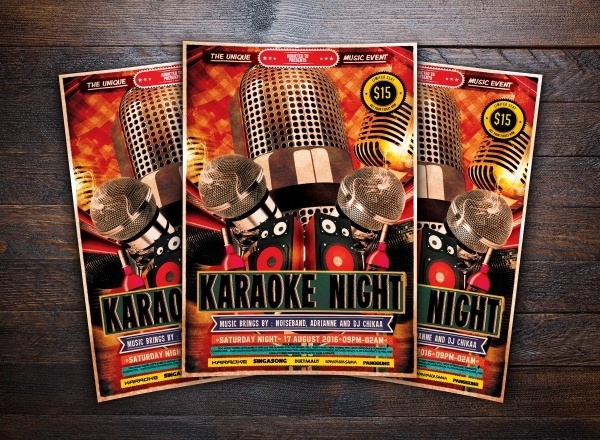 Whatever musical plans you have in the works, our karaoke event flyers have all the qualities to be chosen by you for promoting it. All of the suggestions and samples we have shared with you are the best of the pack and you will have a great time using them to promote your big musical night!